Below you can view all the homes for sale in the Summerwind Plantation subdivision located in Garner North Carolina. 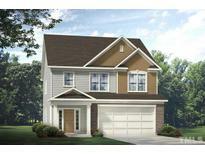 Listings in Summerwind Plantation are updated daily from data we receive from the Raleigh multiple listing service. To learn more about any of these homes or to receive custom notifications when a new property is listed for sale in Summerwind Plantation, give us a call at 919-759-5792. McKee Homes presents The Sullivan Classic open floor plan including kitchen with island, kitchen eating area, and large great room.The Sullivan Classic features 4 bedrooms, 2 1/2 baths and a master bedroom with trey ceiling, walk in closet and garden tub with separate shower in master bath. MLS#2250026. 2515. A second full bathroom is shared by the two guest bedrooms MLS#2249962. 2515. Don't miss the pool & clubhouse. All with easy highway access. MLS#2249669. 3096. Great SCHOOLs & LOCATION! See Agent Remarks. MLS#2245479. 2503. 10Yr STRUCTURAL WARRANTY. Great SCHOOLs & LOCATION! MLS#2245485. 2503. All on a Landscaped Lot with Fenced Backyard and in a Swimming Pool Community.Rocking Chair Front Porch and Backyard Patio. Close to Major Routes & Shopping MLS#2237434. 2058. Great SCHOOLs & LOCATION! See Agent Remarks. MLS#2238129. 2503. Great SCHOOLs & LOCATION! See Agent Remarks! MLS#2238173. 2503. Or keep it as is for great storage. MLS#2237041. 4926. The Sullivan Classic features 4 bedrooms, 2 1/2 baths and a master bedroom with trey ceiling, walk in closet and garden tub with separate shower in master bath. MLS#2234087. 2515. This large open room can be used as an office, play room, media room. MLS#2233315. 2515. 10Yr STRUCTURAL WARRANTY. Great SCHOOLs & LOCATION! MLS#2231727. 2503. 10Yr STRUCTURAL WARRANTY. Great SCHOOLs & LOCATION! MLS#2228275. 2503. 10Yr STRUCTURAL WARRANTY. See Agent Remarks! MLS#2222832. 2503. Great SCHOOLs & LOCATION! See Agent Remarks! MLS#2221485. 2503. A clubhouse and a community pool are part of the HOA. MLS#2218310. 4823. Great SCHOOLs & LOCATION! See Agent Remarks. MLS#2215443. 2503. Great SCHOOLs & LOCATION! See Agent Remarks. MLS#2215457. 2503. 10Yr STRUCTURAL WARRANTY. See Agent Remarks! MLS#2211587. 2503. Side by Side Stainless Steel fridge & 2" white faux wood blinds included. MLS#2184065. 2515. 2" white faux wood blinds included. MLS#2184066. 2515.